Opening hours: Opening hours are varied but most shops are open 9.00-17.30, with large Supermarket chains open until 9.00 weekdays, Saturdays 9.00-12.00 with the major centres open until 17.00 and on Sundays some bigger shopping centres are open 10.00-16.00. Many of the bigger centres have Thursday night shopping until 21.00. The whole area is a playground for any visiting animal lover wishing to encounter the migrating whales at sea, the egg-laying and hatching of loggerhead turtles on lovely Mon Repos Beach and other abundant marine life. Why not travel back in time to visit the charming old Victorian town of Maryborough and the gold mining museum in Gympie that re-presents the time of its golden era, which had gold diggers flocking to the town and saved Queensland from bankruptcy. You will for sure find some favourite activities to do whether it is relaxing by the beautiful beaches or explore the amazing nature or why not get your adrenaline going? The region offers plenty of activities such as hang gliding from the Carlo Sand Blow, racing on the Hervey Bay Go-kart Track or jet skiing along the coast. Whatever you choose to do make sure to enjoy this stunning region. 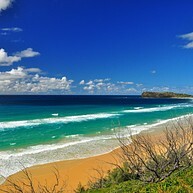 The World Heritage listed Fraser Island seems - as its suitable Aboriginal name K’gari means – like a Paradise. The world’s biggest sand island is a haven for wildlife. Make sure you take a dip in Lake McKenzie and Lake Wabby. Mon Repos Beach near Bundaberg is a large turtle rookery. 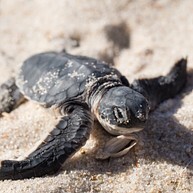 Watch nesting turtles from November to February while turtle hatchlings are from January to March. Maryborough – established in 1847 - is one of Queensland’s oldest and most charming towns, known for its beautiful colonial architecture. Thursdays are market days. See Australian wildlife in natural settings at the Hervey Bay Nature World on Maryborough Rd, Pialba. 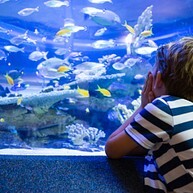 You can also admire the sea-life in the living natural reef aquarium at Neptune’s Reef World on Pulgul St, Dayman Park, Urangan. Tin Can Bay is a lovely town with only 2,000 inhabitants. It is a great holiday destination for all nature fans. For a truly unique experience, do not miss that you can feed dolphins here between 7:00-11:00. These coral reefs and cays are easily accessible from the mainland and they each offer a different island experience. 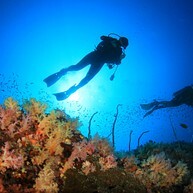 The diving is amazing and there are plenty of bird and turtle sanctuaries to admire. Watch some of the world’s biggest and most fascinating animals. 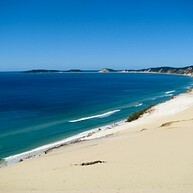 Most trips go from Hervey Bay - best from July to November when the whales migrate further north. The coastal towns along the Fraser Coast offer plenty of water and air activities like diving, jet skiing, hang gliding, deep sea fishing, paragliding… you name it, it is all here! Soak up the sun and enjoy a day and Carlo Sand Blow. During day times its the ideal place to relax and spend some time with the whole family. For breathtaking sunsets or endless beach strolls visit during evening and then drop by in one of the cocktails bars or restaurants along the way. Discover the region’s past through its goldmining era and history. 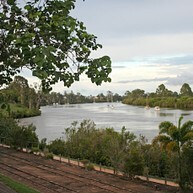 Gympie was once cited as the "Town that saved Queensland from Bankruptcy". Learn why with over thirty display areas housed in fifteen buildings.